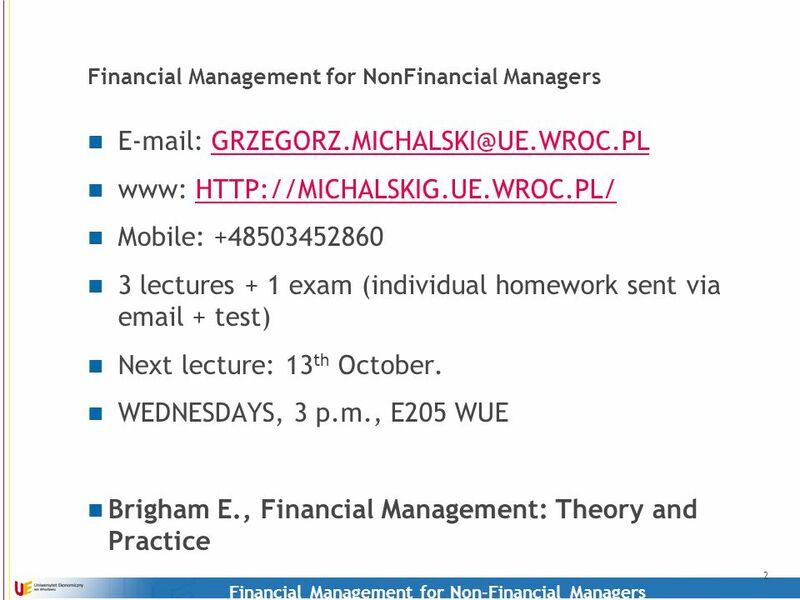 Financial Management for Non-Financial Managers 2014-01-07 Financial Management for Non- Financial Managers. 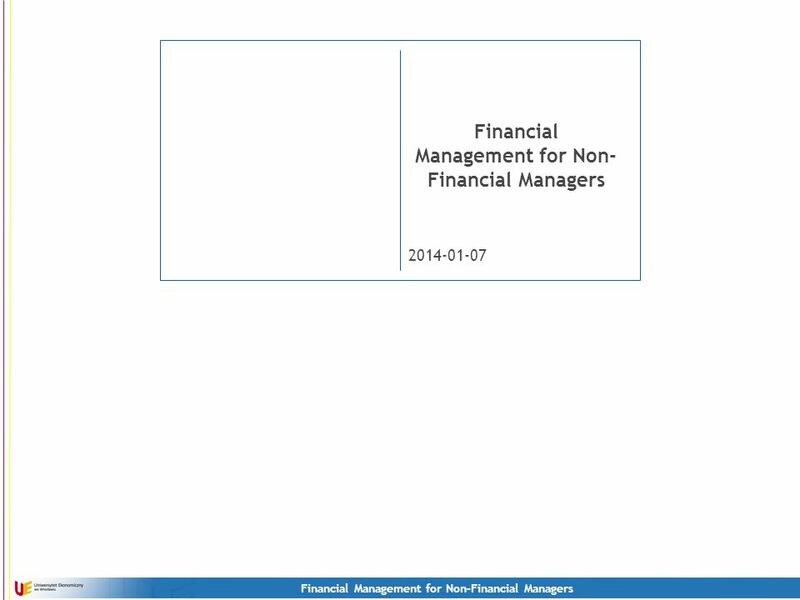 Download ppt "Financial Management for Non-Financial Managers 2014-01-07 Financial Management for Non- Financial Managers." ANALYSIS, USING AND UNDERSTANDING FINANCIAL STATEMENTS OF THE FIRM [AUFSF2010] ANALYSIS, USING AND UNDERSTANDING FINANCIAL STATEMENTS OF THE. Interest tax shields With $50 million in new debt, the present value of the interest tax shields would be – $50 million x 40% = $20 million If we count. McGraw-Hill © 2004 The McGraw-Hill Companies, Inc. All rights reserved. McGraw-Hill/Irwin Leverage and Capital Structure Chapter 13. 1 Free Cash Flow. 2 Free Cash Flow (FCF) FCF is the amount of cash available to make payments to both Debt and Equity investors: Payments to creditors. Chapter 9. Investment In Long-Term Assets Chapter Objectives Difficulty in finding profitable projects Use capital budget techniques to evaluate new. Chapter 6 Capital Budgeting Techniques. UNLOCKING THE MAGIC OF NUMBERS UNLOCKING THE MAGIC OF NUMBERS 2 = DR. GEORGE WEBSTER EXECUTIVE EDUCATION PHARMACEUTICAL MARKETING. Finanças Sept 19, Topics  Practical information about this course  What is this course about? Corporate Finance Lecture 1. Topics Change of schedule: Change of schedule: –Fridays from 18:30 – 19:50 to 11:00 – 12:20 Practical information about this. Chapter McGraw-Hill/Irwin Copyright © 2006 by The McGraw-Hill Companies, Inc. All rights reserved. 1 Introduction to Corporate Finance. Chapter 4. We will want to answer questions about the firm’s n Liquidity n Efficient use of Assets n Leverage (financing) n Profitability. DES Chapter 11 Chapter 1: Why Corporate Valuation? You make financial decisions every day Investors—buy and sell decisions Managers—implement operating. 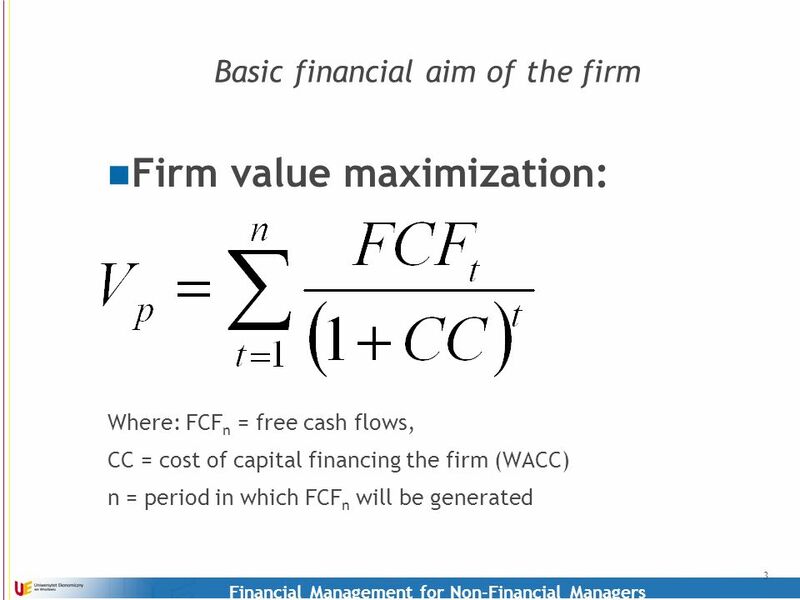 Corporate Finance Lecture 17 INTRODUCTION TO CAPITAL STRUCTURE (continued) Ronald F. Singer FINA 4330 Fall, 2010. 1 PEMBELANJAAN PERUSAHAAN LECTURE 9 – RISK MANAGEMENT. 2-1 CHAPTER 7 Financial Statements and CF Balance sheet Income statement Statement of cash flows Free Cash Flow Performance Analysis.